So, don’t delay, register today to hold your spot! Our program is designed to work with your child from 12 months old to College-age. 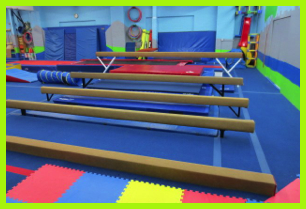 We teach specific, technically proficient gymnastics progressions to all of our students. This allows the students to build a solid foundation and then progress safely to the more complex skills. With the younger students, we use obstacle courses to teach skills while keeping the students engaged with the stories that accompany the courses and the many colors and connections that the courses provide. For our youngest children, we have Mommy and Me classes that utilize the presence of the additional adults to assist the children and keep them moving safely. As the children mature, we alter the teaching style to match their attention span. These classes begin with a warm-up and then the students are broken up into groups that rotate to the different apparatuses. For the children who want to do more, our competitive program provides them with additional time to prepare for competitions. We are also one of the best Children’s Birthday Party places in NYC. 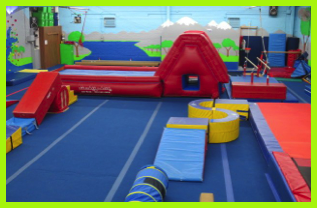 Our Gymnastics Parties are equipped with inflatables, trampolines, rock climbing and flying belts that are sure to excite your child and all of their friends. They will come home saying that was the greatest birthday party they have ever been to. You don’t need to be a gymnast to have a Gymnastics Birthday Party. Our Birthday Party Adventure Courses are designed for every child to play on. Climbing up mountains, swinging across bars, and jumping onto super soft, humongous mats are the keys to fun at your child’s Birthday Party. The many set-ups keep the children and the energy always moving. Don’t forget, we offer awesome discounts to our members on all of our Birthday Party Packages. Our discounts are a way of thanking you, our membership, for all of your hard work and loyalty to our program. Let us throw your child’s party this year! We can help make your child’s day special and memorable. Come check us out, you won’t be disappointed. 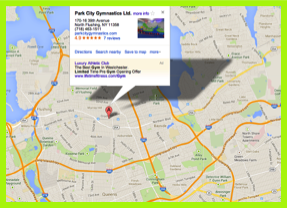 Park City Gymnastics is located in North Flushing, minutes from Whitestone and Bayside, Queens. We are a mere 10 minute drive for the Great Neck, Little Neck and Douglaston areas, as well. We are readily accessible by car, with several major highways nearby. For Public Transportation from Great Neck, you can take the N21 to our facility. We also have a LIRR stop within walking distance of the facility. Our Gymnastics Facility is 5000 Square Feet of Awesomeness. We have the full complement of Women’s Olympic Gymnastics equipment. We have an in-ground Trampoline with an overhead Spotting Belt. We have 20’ Long Tumble Track with a super soft 16’ long landing mat at the end. We have tons of shaped mats and soft landing mats. We have an advanced Spring Floor Set-Up that gives you a literal bounce in your step. 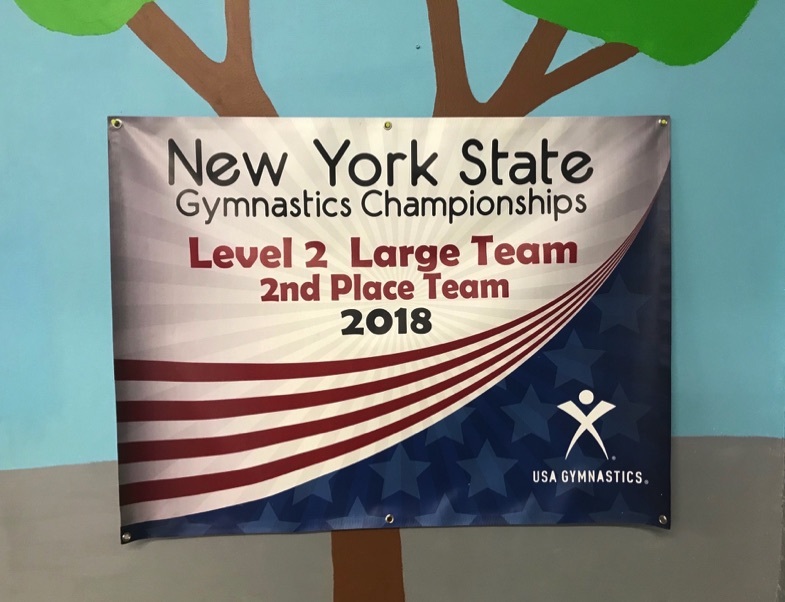 So whether you are in Great Neck NY or College Point NY, we are close enough for you to experience the awesomeness that is Park City Gymnastics Ltd., NYC’s Gymnastics & Adventure Park.